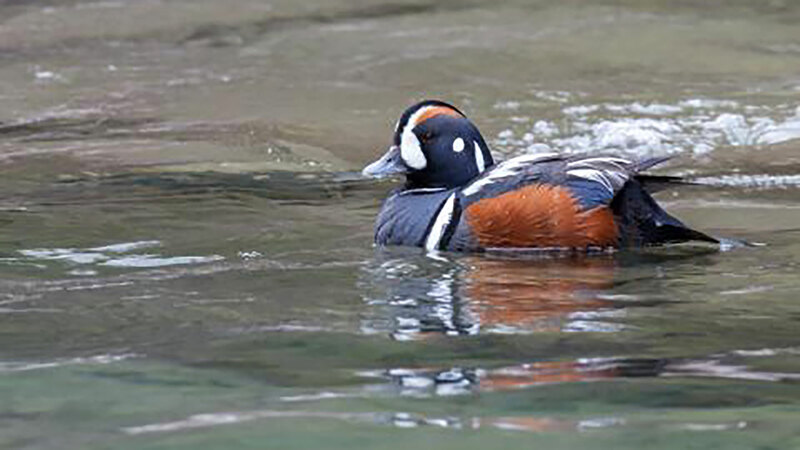 You can help provide critical research on this unique waterfowl species by supporting research to track harlequins to better understand what stage of their life cycle may be most vulnerable and causing a perceived decline in numbers. To sponsor a tracking devise on a single harlequin, or other ways to support this effort, please contact us for more information. 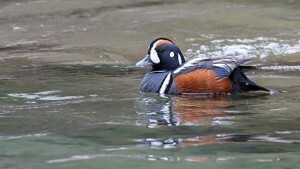 $2000, sponsors complete GPS equipment and tracking work for a Harlequin duck.